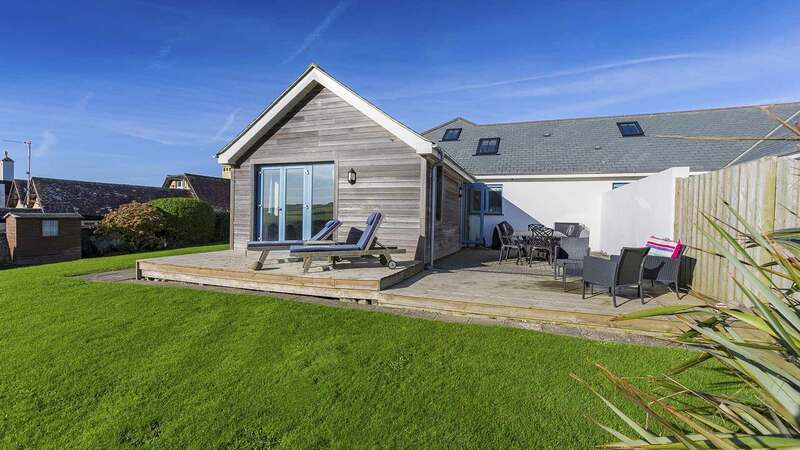 Atlantic Reach is a luxury 5 bed holiday rental with sea views and situated just a stones’ throw from the beach at Widemouth Bay. 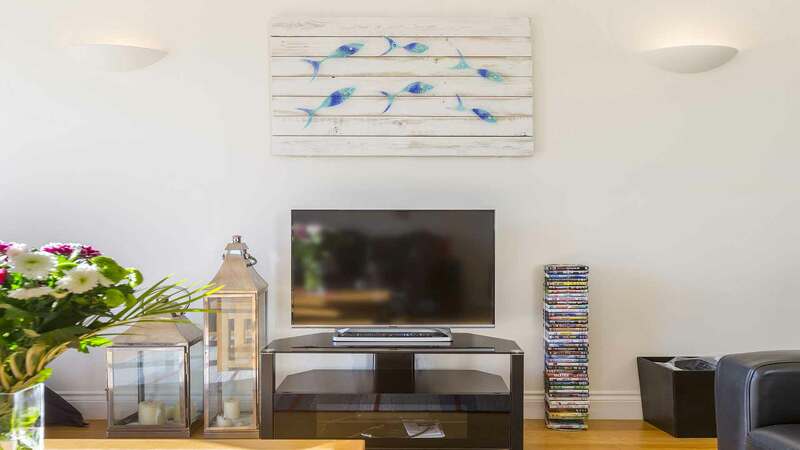 This modern house has all the essential ingredients for the perfect family holiday; plenty of space, well-equipped and close to the beach! 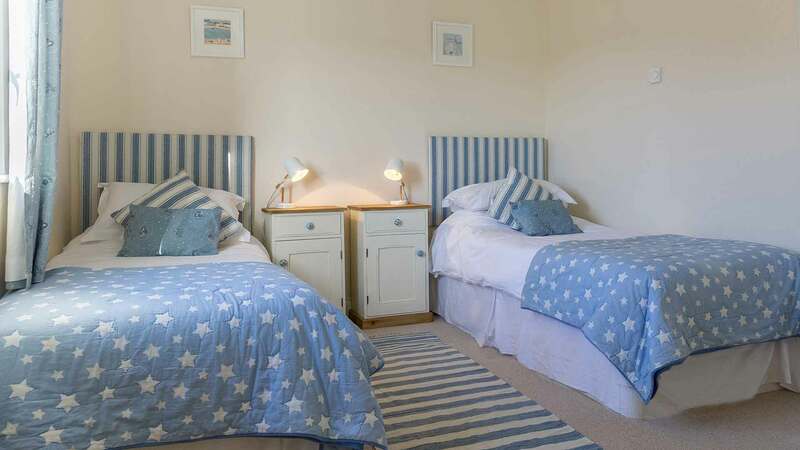 The house comfortably sleeps 10 people across 5 bedrooms, some of which enjoy the beautiful sea views. The kitchen and dining room has everything you should need to feel comfortable during your getaway. 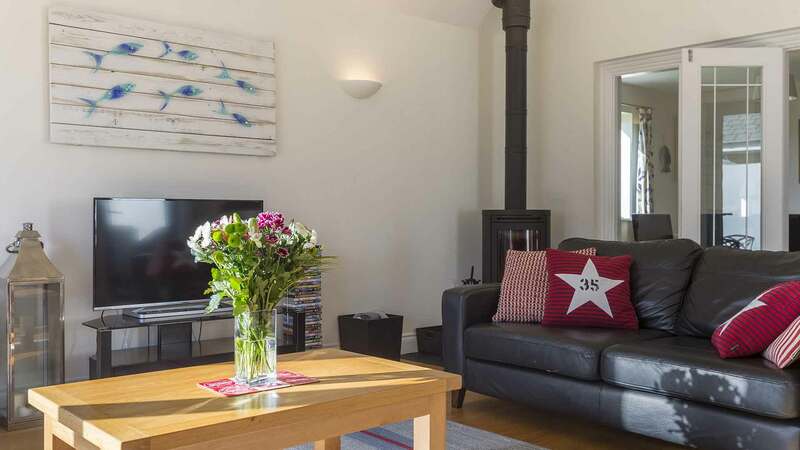 The spacious sitting room with vaulted ceiling and wood burning stove leads onto the garden through french doors. 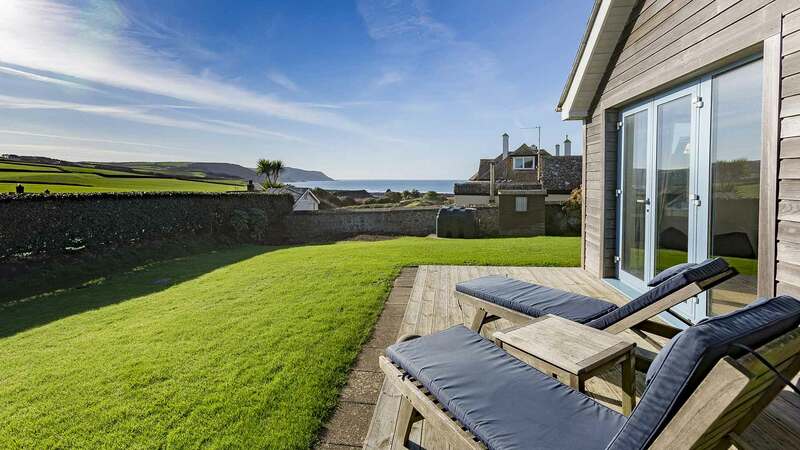 Outside there is a decked area with sea views and a large grassed area. 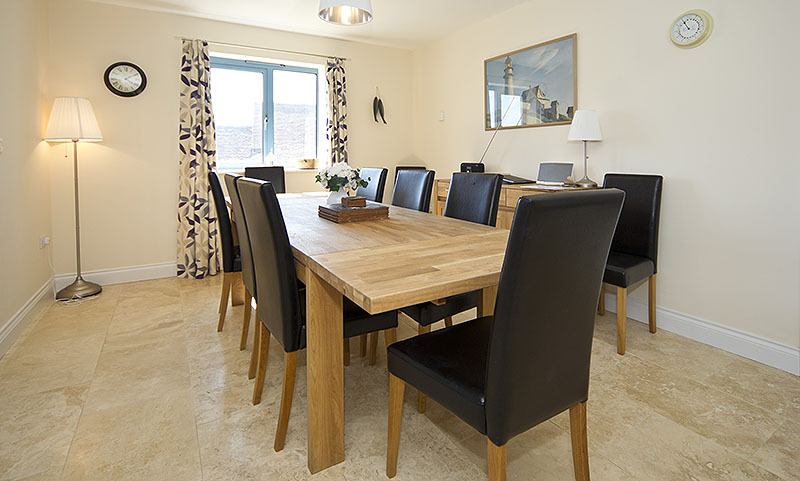 You will find ample garden furniture including a large table and chairs, sun loungers and a BBQ. Plus there is shed for storage of surfboards and beach gear, with a handy rail for hanging your wetsuits. 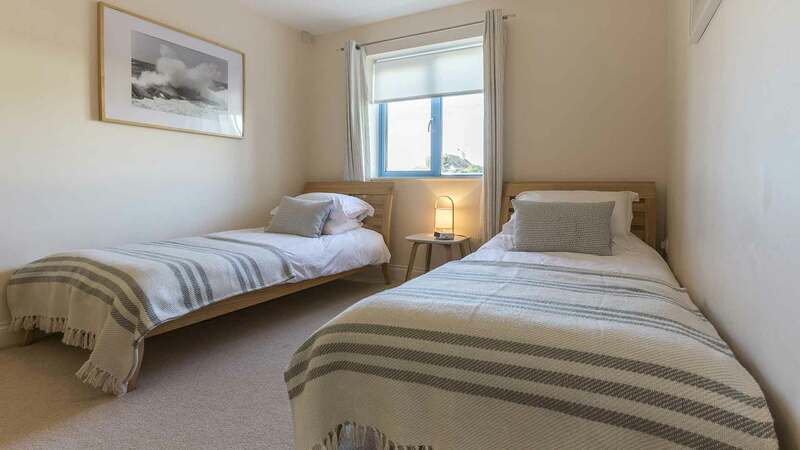 Widemouth Bay is a wide, sweeping bay well-known for its excellent surf and is popular with families who can enjoy the long expanse of sandy beach. There are several good surf schools operating from the beach and the views from the coastal path are spectacular. Within walking distance is a local store with a fresh fish counter, seasonal fish and chips takeaway and the Bay View Inn which serves good pub food. 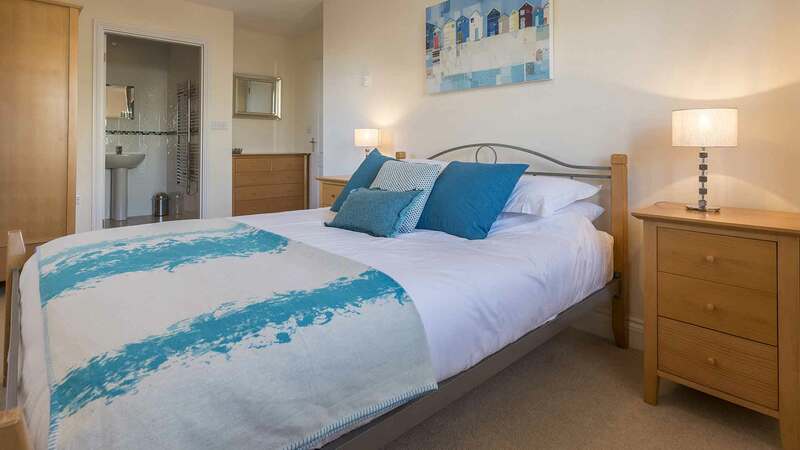 You’re also only just a short drive from the seaside town of Bude. 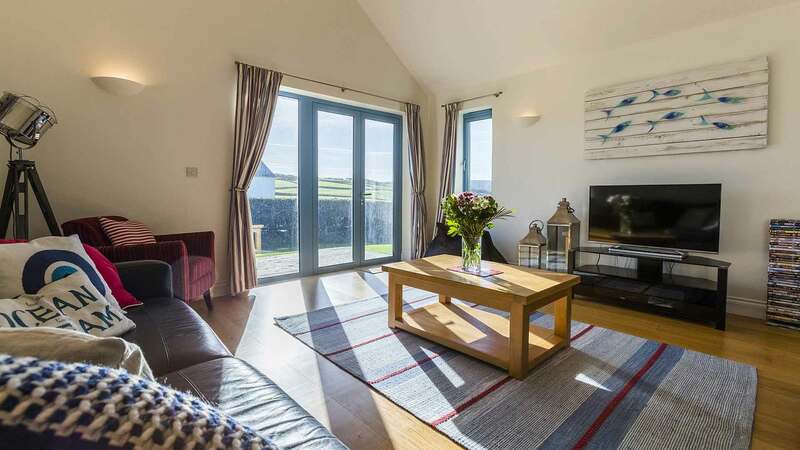 “Atlantic Reach is a lovely, spacious house, very clean, bright and airy with sea views. The beach is just down the road, a large expanse of beach for long walks, rock pooling, beach games and giving the dog a run around. Swimming and surfing too in the summer as well as the cliff top walks. The local pub is also not far and within walking distance. 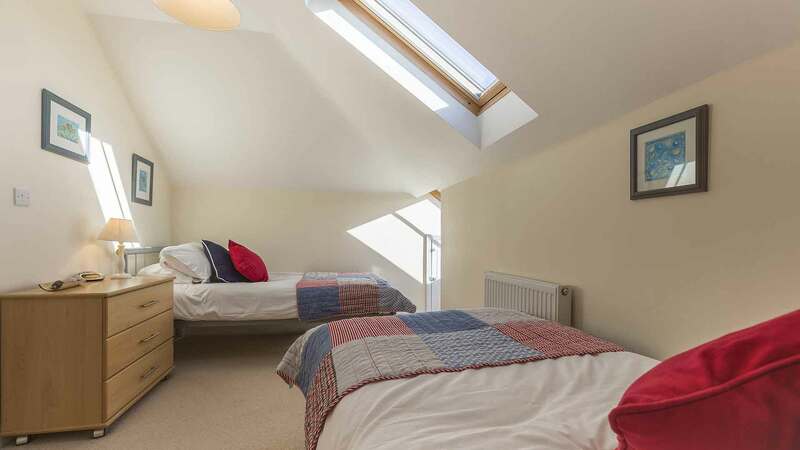 Bude town centre is just 10 mins away for supermarket and all the necessities and plenty more. Lovely town with some very nice shops! 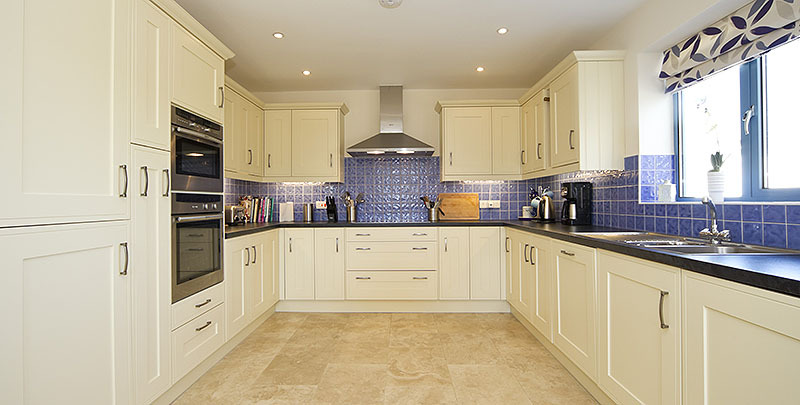 The house is modern with a well stocked kitchen and plenty of room for everyone to eat together. Comfy lounge with TV, wood burner and doors out onto decking/garden. “I thoroughly enjoyed my stay at this monster of a house with plenty of great-looking rooms and adequate facilities. The living room had a log-burner, a big smart-TV and enough seating for us all to relax. The garden is spacious and has a lovely view of the sea. 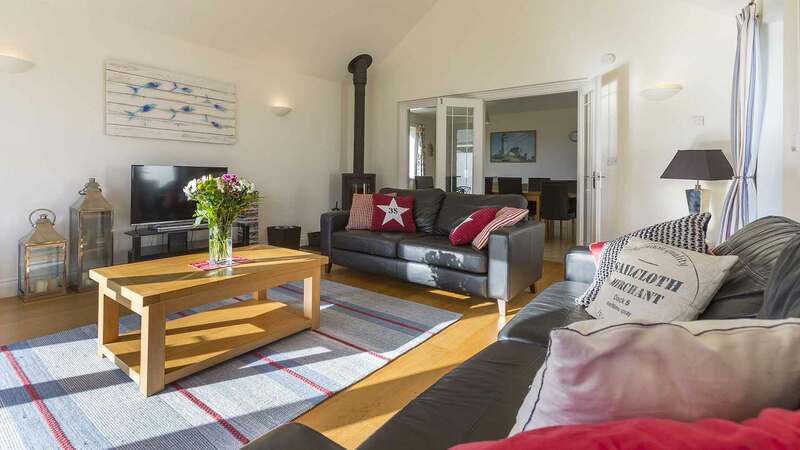 “We stayed at Atlantic Reach over Easter and we loved the house. It has plenty of space for 10 people and was very well equipped. The BBQ, decking and patio works really well – we were lucky enough to have Easter sun, so sitting on the deck with a glass of wine looking out over the sea couldn’t have been better.